It’s the 1st Wednesday of the month again. That’s when I take part in Alex J. Cavanaugh’s Insecure Writer’s Support Group. 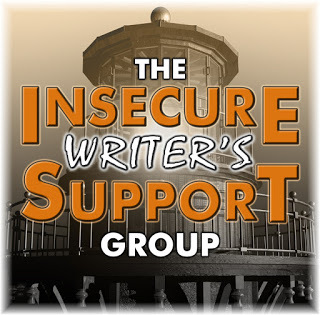 I encourage you to check out their website and even sign up for the IWSG Newsletter. Today I’m going to explore my writing goals, past, present, and future as I answer the #IWSG question for July. My writing goals were very romantic. I can’t imagine writing a poem now. Throwing up walls to protect my heart. But, on the outside, it’s, “Just the facts ma’am. I graduated from the Minnesota Center for Arts Education. I knew that I wanted to write, and journalism seemed like the practical route to take. I had no idea of the politics I would encounter in that area of study. And, like most journalists, I couldn’t keep what I thought to myself. That alienated me from the people I needed to know to get ahead and achieve my writing goals. I was young, foolish. I gave birth to my first daughter. Two years later I married her father. I spent my energy walking on eggshells in an abusive marriage. Journalism was not to be. When I journaled, I wrote letters to God. I was a new Christian, and this was my new way of getting all of my feelings out and onto paper. It helped me to be as honest as possible in my writing, even though it would be kept between me and the Lord. The Lord was the only one I could go to with my troubles. So, journaling was the only one of my writing goals I continued to spend time on. It was an emotional outlet. My real goal was emotional survival. This goal was achieved. I journaled in many ways. I complained, set goals, and even had a gratitude journal. That was the one in which I only wrote about the positive things in life. Things had gotten so bad that I had to find a way to dig the good out of each day and pour it onto paper to remind me that there was hope. It helped me keep my priorities straight. Those priorities were my three little girls. When my ex-husband left, I had a friend who told me to write down a list of everything I ever wanted in a husband and send it to the Lord. So I did. And, He answered. I met Dan at Sunday school. We kept running into one another and eventually he introduced himself to me. It truly was love at first sight. We danced around for months before we began writing one another. Then, eventually we spoke on the phone and a while later went for coffee. It was as if God searched for everything on my wishlist and plopped all of those characteristics into Dan. I knew this was the man I would marry, and in October on 2009, I did. Another of my writing goals achieved! I sat down and read all of the journals I’d kept in the previous decade. I could see very clearly where I had made mistakes and wrong turns. The good thing about that was I could tell I was healthier, now, and wouldn’t make those same mistakes. I had chosen well in my husband to be. I would have burned those journals if I had a safe way to do it, but since I didn’t, I threw all of my journals away in a dumpster. I was starting fresh and didn’t want to hang on to those memories any longer. My writing goals had never included emotional healing, but I got it, anyway. I married that wonderful man and stopped journaling for the most part. I was too busy loving my life. And that was okay. I even wrote some pieces for a Christian magazine. As our children grew older, I found myself envying these younger writers who still had their craft at the top of their priorities list. Then I realized that I had every opportunity in the world to write and it was my fault for not grabbing ahold of them. I thought I would write fiction. I began with a cozy mystery (which I’m still working on). I got sidetracked by cancer. My husband was diagnosed with stage IV lung cancer in 2012. As an effort to help people understand what patients and their caregivers want, in terms of support, I wrote, Facing Cancer as a Friend: How to Support Someone who has Cancer. Everything I read said that I needed a blog in order to market my book. So I began Heather Erickson Author/Writer/Speaker. I intended for it to be about my writing, in general. After all, I was working on my mystery novel. It wasn’t all going to be about cancer. I never wanted to write about cancer, but soon, I was writing about it all the time. People wanted to read about it and we did have a story to tell. Soon, I was writing another book about cancer, just recently released, called Facing Cancer as a Parent: Helping Your Children Cope with Your Cancer. I needed to do something about the blog issue. The blog issue was that I had a domain name that I wasn’t using: Facing Cancer with Grace. So I made the bold move of separating my blogs. It felt like separating conjoined twins. The procedure went well, though. 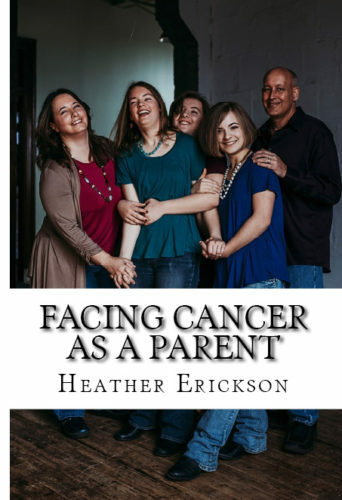 Now, cancer posts are on Facing Cancer with Grace, and writing posts are on Heather Erickson Author/Writer/Speaker. It seemed so personal. And it was such a commitment. I had a hard time getting posts up on a regular basis. I had bought into the idea that I needed a muse of sorts to inspire my writing. It also felt like my blogs were competing with my other writing projects. If I had to work on a book, the blogging seemed to stagnate. Then, I figured out how to have harmony in my writing life. I made peace with writing about living with cancer. It’s not something I’m going to do forever, but it is what I know. Writing as a caregiver is somewhat unique. People want to hear from patients, themselves, but caregivers have something to add to the conversation. They have their own insights, needs, and perspectives. I have also made peace with blogging. It’s my platform and an art in and of itself. Facing Cancer as a Parent is now available! How have your goals changed over the years? Thanks Heather for your honesty and transparency. When we are going through our life we often don’t recognize God’s hands directing, arranging, guiding, and lifting us up. Then we look back through the eyes of faith and from the perspective of time and many events become clear. Your life’s story is a blessing and I am happy that you are open enough to write about it. Life can’t help but change the idealism of youth. Not good or bad, in either direction, just truth. God put you exactly where you needed to be with your writing, don’t you think? Hi Jacqui. I agree with you. We were recently at a family gathering and some men were discussing their career paths. My brother-in-law who is a deep thinker and enjoys statistics said, “I wonder what percentage of people are in a job because they followed an intentional career path, and how many are in one because they stumbled into it.” His guess was that far more people fit into the latter category. When I was in Morocco, they were telling me that kids choose either a STEM career or a business career path at a young age (I think 12), and they are stuck on that track. To veer from it would leave them with only manual labor or another job that doesn’t require an education. That sounds a little intimidating. That’s a great description of how your writing has evolved. Most of us evolve the more we live. Glad the writing got you to a good place. Thank you, Liz. I am, too. I’m surprised at how long it took me to pick up the pen again after my break to raise kids. I do wish I had pursued it at an earlier age. I have an amazing niece who is a writer. She is diligent and focused. She knows what she wants and is going after it. I’m terribly proud of her, and a bit envious. So, I try to keep my own kids on track to follow their dreams. Have a great week! I love hearing your writing story. And I’m so excited your book is on Amazon!! Going to go review it now. Congratulations on finishing it!! Hi Nancy. Thank you for your kind review. I really appreciated your feedback during the editing process. I learned so much as I wrote this book. I pray it helps other families going through this journey. Bless you! My writing goals really haven’t changed much. The most change I’ve had is going from hobby to trying to make a living and back and forth depending on if I had a day job or not. Hi Patricia. That is really my ultimate, ultimate goal. It’s just so far away that I try not to think about it. I try to look back at how far I’ve come rather than how far I have yet to go, otherwise, I might get discouraged. Have a great week! 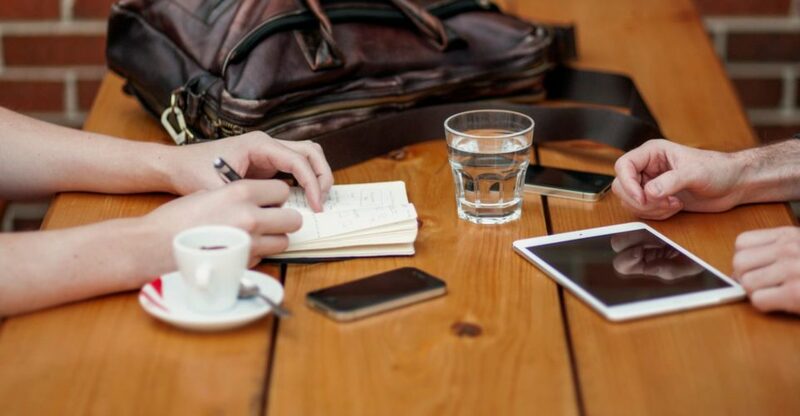 It’s fascinating to read about your life as traced through changes in your writing goals. That speaks to how important writing is to you, how central it is your identity. And we all benefit from that, Heather. I don’t, right now, know anyone who has cancer so I wouldn’t have learned of your book if you didn’t blog. I don’t know how you made peace with blogging but I’m grateful that you did. Hi Karen. I’m glad, too. Blogging has opened up a whole new world for me full of wonderful writers, artists, and friends like you. Writing, for me, feels as important as eating. It really sustains me. Blogging is one more expression of that. Have a wonderful week!